There are just two episodes left of NBC's Constantine this season and last night, just hours before the show's eleventh episode aired on the East Coast, executive producer and co-creator Daniel Cerone spoke with us from where he was watching composer Bear McCreary (also known for his work on The Walking Dead and Agents of S.H.I.E.L.D.) compose a live orchestra to score for the finale. We touched on a few topics, with Cerone reiterating how pleased he is to have NBC as a partner on the project; he noted more than once that shows with similar numbers to Constantine have been pulled off the air in the past, and that he's confident it has been allowed to run the course of its thirteen episodes because even though they didn't order a back nine, NBC likes the show and wants to see it come back next season. 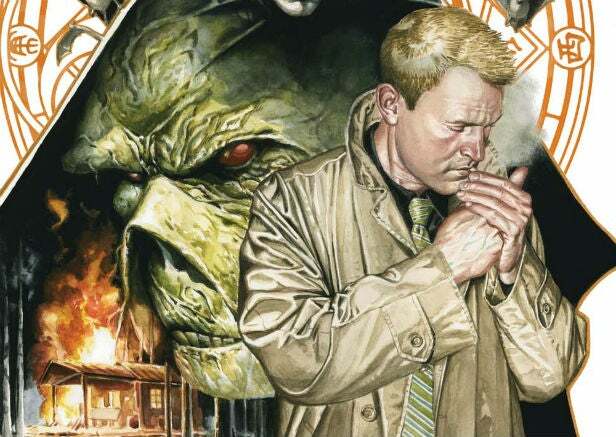 We also touched on the hows and whys of the show suddenly becoming much more like the comics on whcih it was based, why Constantine didn't introduce Swamp Thing or Alec Holland in the first thirteen episodes, and which supernatural properties DC didn't want to see pop up on the show just yet. The last few weeks, you've had the fans pretty happy because there's been so much coming fairly straight from the pages of Hellblazer. Is that just something where you had to establish your identity first? Yes. I think the more time that we all collectively spent with this material, talking about it and exploring it creatively, the more natural it was to migrate closer to the comic book stories that we all fell in love with. One thing I would hope the viewers understand but they might not is that when you're starting a TV show, there are so many captains that are involved -- so many voices and partners. And it's incumbent on you to honor all those people. So as the co-creator of the show with David, I might have my own take, David Goyer has his own take, the network definitely has their own idea of what they want the show to be, as does the studio, and then there's the original source material. One of the biggest challenges in the beginning is to find a show that is giving everyone what they want and expect. Once you get on the air and you prove yourself, you generally get a lot more freedom. A lot of people have been talking about how after the first few episodes the show has found its stride and it's been getting stronger and it's staying closer to the comic book and that's not a coincidence because at that point, you gain more trust from your partners and I think that's what you're probably seeing happen onscreen. The back half of the season has been driven by the discussion about whether the show is coming back and by the fans who are coming together to try and save it. What was going through your minds at this point in production? Were you just feeling good about where you're at with the production itself? You know, I have weird theories about all that. First of all, and this is sort of an addendum to the last thing I said, I think in the beginning we were a bit more episodic and again, the network was very clear in wanting stand-alone stories every week. But then you get on the air and you start spending time with these characters and getting to know them, you start being able to lean into the serialized storytelling. Frankly, the network and studio all wanted to read as much more about the characters and learn about them as much as the viewers did. So the more time we spent on the air, the more freedom we had to really start digging into the characters' lives and getting to know them and organically, that leads to serialized storytelling. I think if we came out of the gate with those heavily serialized stories...it just wasn't what the network ordered. They entrusted us to start gradually moving in that direction as the season wore on and I feel like we've found a nice balance. 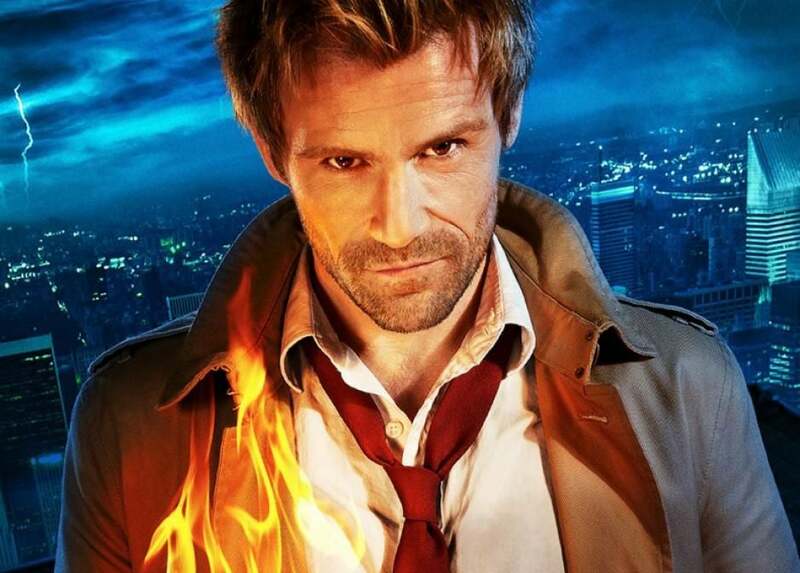 We've found a nice balance between you can sit down and watch an episode of Constantine without having seen what came before and enjoy hopefully a good or compelling or scary story with a beginning, middle and end but for the fans, there's also the continuing character arcs and storylines. I will say this: I don't think it's any coincidence that we hit stride with a storyline that was straight from the comic books, which was the hunger demon. And without a doubt, that encouraged us all to dig deeper into the source material. 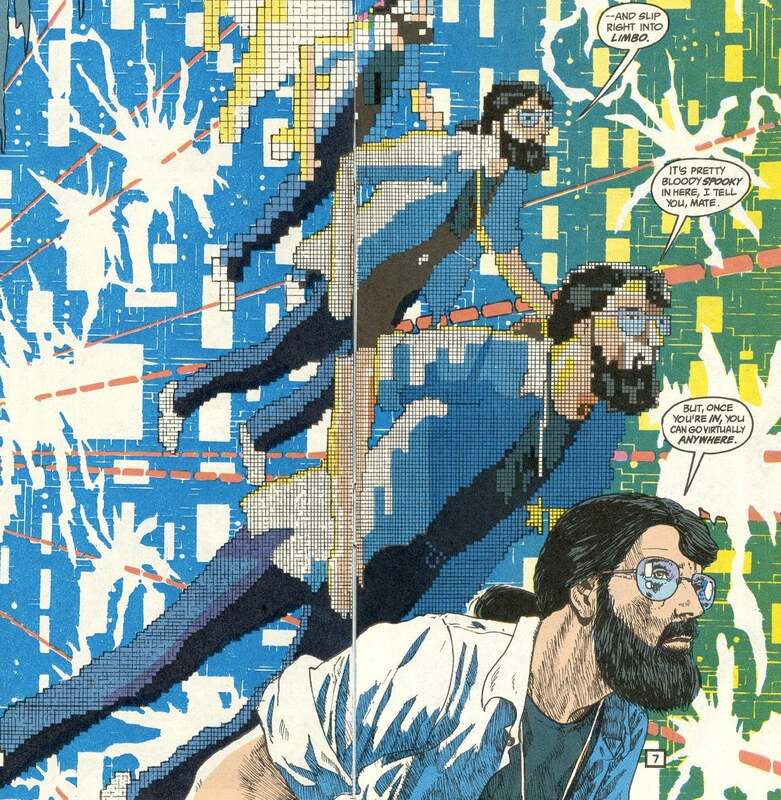 This week's episode, we get to see Ritchie again and for anybody who followed Ritchie in the Hellblazer comic book, he had a very interesting arc in which he essentially disappeared into a computer and became part of the software and that was sort of part of his mythology. You'll see when you see this episode or if you've seen this episode that the goal of Ritchie's toward a singularity -- toward entering a computer and experiencing his own singularity -- very much drove the entire episode. That was the inspiration for it and it very much stays true to who Ritchie is and what he wanted. Ritchie is the one character, as we said in the pilot, who sees what's coming. He knows. He's data-mind. What he wants to do is just run. He wants to flee and he wants to flee into the computer. We took the story in a different direction than the comic book but that was the inspiration for the story. 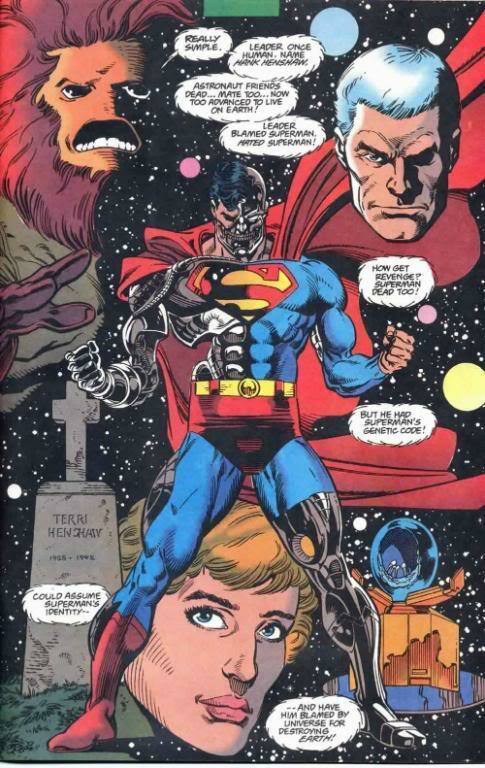 It's interesting to me that we're going to get Ritchie and then we're going to get Hank Henshaw, who has a somewhat similar final fate, on TV within about a calendar year. [Laughs] Well, I will tell you one thing they don't have to worry about in the comic books: If you're on television and you're lucky enough to cast a talented actor, you want to see more of them. They die in the comic book but you don't want yours to die. I mean, Ritchie, once he disappears into that computer, he's pretty much gone. I think he comes back in Nergal's body and then burns up or something, but we love Jeremy Davies. Jeremy Davies is foundational to the show, and in terms of what he brings and in terms of...he's such a different character from John Constantine because he's so fear-based and reactionary.There's just such great interplay. Matt Ryan and Jeremy Davies together are just so much fun to watch. So we want to keep him around as a continuing character if we're fortunate enough to have future episodes. Similary, Jonjo O'Neill, the actor who played Gary Lester, we stayed true to the comics there but it's killing us because we loved that character so much and we love the actor who played him. Jonjo is one of Matt Ryan's flatmates in London and that's how he got the role is that Matt introduced him to us and he actually hasn't done a lot of stuff, especially out here in the States, although I just had drinks with the two of them a couple of days ago and now Jonjo is out here for pilot season and hopefully that will work out for him. Look, part of the plan is always to do a flashback Newcastle episode. That will be a welcome opportunity if we get to do so, to work with Jonjo again. Luckily, too, it isn't unheard of for John to have some ghosts. Yeah. What do they call the -- The Spook Group? -- And Anne Marie was the same thing. You didn't even really get to know Anne Marie but she was introduced and portrayed as such a great character by Claire van der Boom in Episodes Eight and Nine but we can't wait. We had 22 episodes on our writers' room board, where the whole season was going and it included a Newcastle flashback and it included getting all of those characters together that we've been slowly rolling out. I hope we get chance to do that again. Did those plans include any long-term design for Alec Holland? You know, the short answer's no. We have a desire but the way things work is all of that has to work in concert with DC and whether they would say no or not, I think we would just have to wait and see. We would have to come up with a pitch, say what we want to do and then get their clearances on it to make sure it's not conflicting with any other plans they might have. For instance, I don't think I'm speaking out of school here to say that DC is hard at work developing Sandman as a feature film. We were asked very respectfully...we were basically given carte blanche to any of the kind of mystical, dark, supernatural, paranormal characters from the DC Universe but we were asked to steer clear of Sandman at least for now because they are meant for a feature underway. So very similarly, had we wanted to do something with Holland, it would have been something we had to have cleared. For us, that felt more like something we wouldn't have done in the first season. At least, we had no plans. How did the story come about for the claymation thing where you guys have been kidnapped? You know what? I've got to be honest: there is so much love for the Constantine character among our writers and crew and staff. That came about frankly by three of the writers assistants: Our writers assistant Matthew Levine, my assistant Sammy Corrado and our production assistant Garret Levitz. You know, they were just looking for ways to promote the show and I think either Sammy or Mat knew these claymation animators and they just saw an opportunity to create something. Every weekend they were going down and helping them build the world. I mean, those sets are fantastic! Look at those sets they built, they're like three, four feet tall and they're like ten foot by ten foot and they just built a great world and they had fun doing it and it just came out of their enthusiasm and love for the show and it was a great opportunity for us to get some stuff online. In terms of how they came up with it, they wrote it, so I couldn't speak to that, but David and I were definitely honored to be included in it!